Kelly Hoehn is a double alumna of the College graduating with a Bachelor’s in Childhood Education in 2007 and her Master’s in Literacy in 2008. In this blog “mini-series” Kelly will share the details of her experience teaching internationally in Qatar. 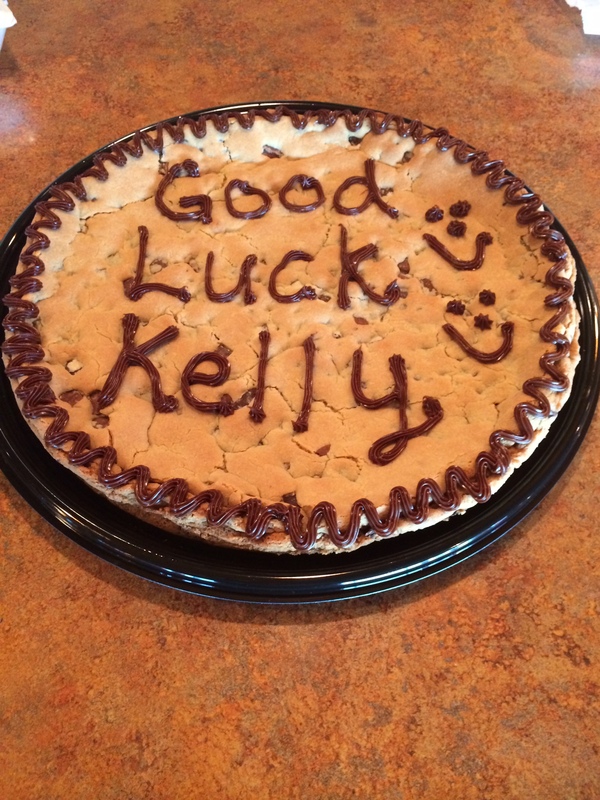 This post discusses Kelly’s decision to leave a great job in the States for an exciting new opportunity. So, basically, I made the decision to teach internationally after working five years at Camden Elementary. I was lucky enough to get a position at a school that was so welcoming and allowed me to hone my craft as a teacher. I had great positions there, first as my district’s first pre-K reading teacher and then as our school’s kindergarten reading teacher. I am grateful for the experience and knowledge I gained working in Camden. I knew after five years I wanted a change, both personally and professionally. I had heard about people who taught overseas but never thought I was brave enough to do so. I decided to research it anyway and found that there are so many benefits to teaching internationally that I had to research further and see it was a fit for me. The things that drew me in were the ability to save money and pay off debt, have enough money left over to travel, teach students from all over the world, push myself out of my comfort zone, and just allow myself to go through new experiences. My dad loves to remind me that the “magic happens out of your comfort zone!” After lots of consideration, I decided to go for it! I started the process by asking my colleague how his friend began teaching internationally. He referred me to a website called Search Associates which allows you to post your resume, references, cover letter, and location preferences and then hooks up certified teachers with international schools. There are international schools all over the world so you are able to apply anywhere that interests you. Search Associates is very honest when it comes to informing you about how much money you’ll actually be able to save depending on where you choose to work and live. A big incentive to teaching internationally is that almost every international school will fly you there, pay for your housing, and even give you a shipping allowance. I applied to many different schools and landed an interview with the director of one of the international schools in Seoul, Korea. He informed me that he was leaving Korea to become the director of Qatar Academy Sidra in the country of Qatar. He and most people living here pronounce the country as “Cutter” so I wasn’t exactly sure where he wanted me to work! He told me to do some research into the country and see if it would be a good fit. After looking into it, I decided to accept a position as a Pre-K Teacher at Qatar Academy Sidra and was ready to start preparing. Cookie Cake from one of my going away parties. Check back as Kelly take us through her transition as a new teacher in a new country and of course all of the fun things she is experiencing abroad!